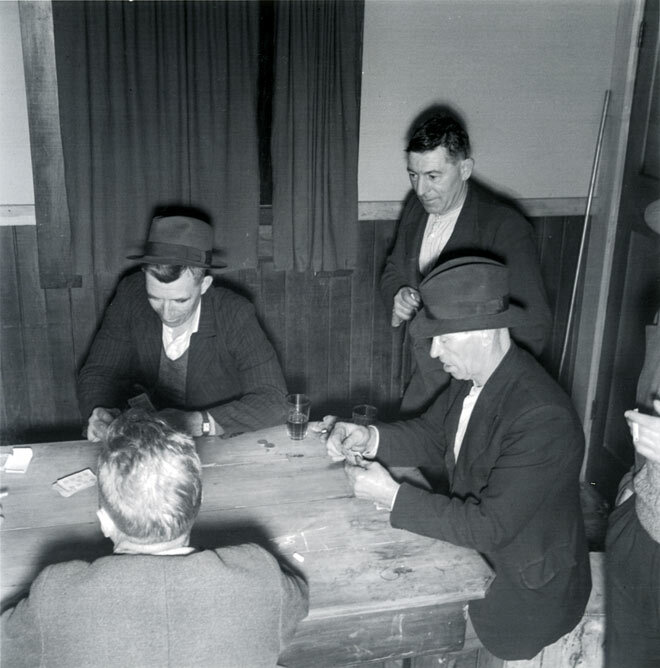 These miners at the West Coast coal-mining settlement of Millerton are playing the card game forty-fives in 1944. This game has been played in Ireland for centuries and, later, in Irish migrant communities around the world. Its name may derive from 'forte' or 'strong' fives, since the five of the trump suit beats any other card.